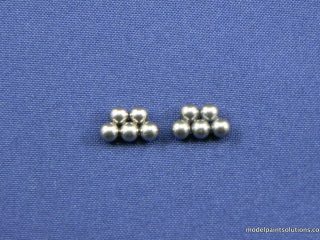 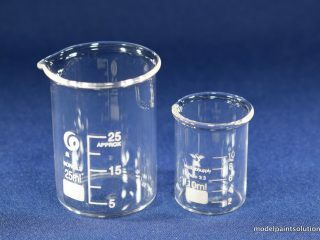 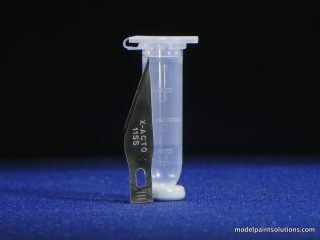 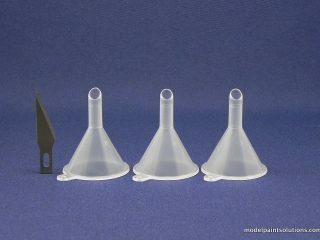 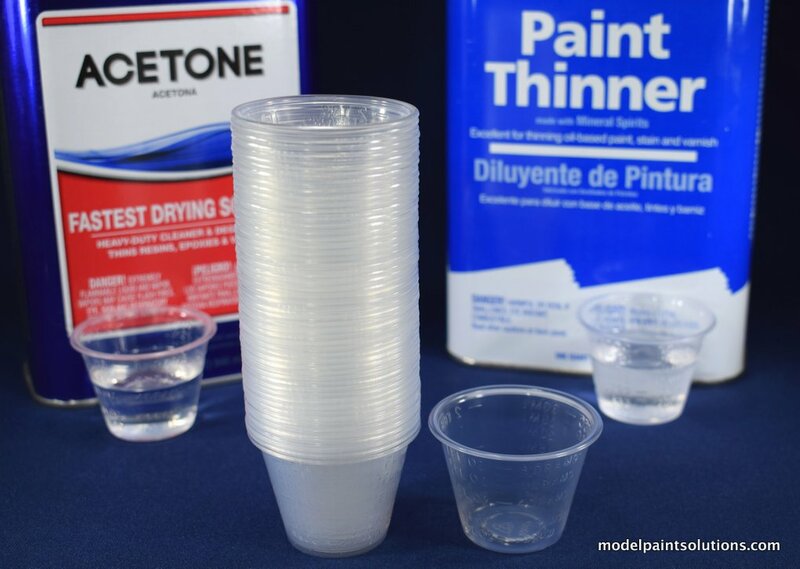 These medicinal measuring cups are made of PET plastic permitting them to be used with lacquers, paint thinner, and even acetone (pictured). 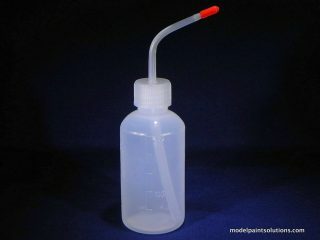 Each cup is reusable and has a max volume of 30ml, 1 fluid ounce, or 2 Tablespoons. 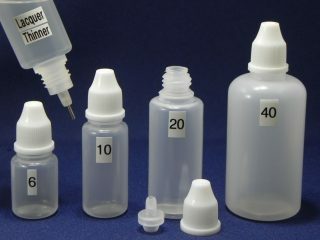 Gradations are provided in 5 different scales: Fluid Ounces, Tablespoons, Drams, Milliliters, and Cubic Centimeters (cc). 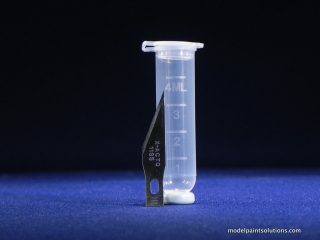 Very handy indeed!